Round weights are hidden inside the car. Just drill 3/8" holes, slide them in and cover with wood putty. Your car is clean, neat and aerodynamic. "The product was easy to work with and easy to cut with a hack saw. I built three cars this year with these weights"
3.0 oz of Zinc weight in three 1 oz segmented bars. Each bar is 2 3/4" long and can be broken or cut into 1/4" segments. Just drill a 3/8" hole in the back of your car, break off the exact amount of weight you need, slide them in. Glue or seal the hole with wood filler. Weights are made from lead-free Zinc for safe handling. Easy to shorten to size. I didn't understand from the photo that they are solid tubes of metal. I though the lines in the photo on the tubes were breaks - that they were smaller pieces, stacked up. We ended up not able to use them. Affordable but takes up a lot of space in the car and hard to get proper weight placement. Great for budget builds. They do not look anything like this picture, but they still work. These weights are perfect for adding weigh and work perfectly in 3/8" dia drilled hole as advertised. Worked great. Cannot break by hand, needed saw. Son built and loved the care - also it won derby with this and other items purchased from Pinewood Pro. Will be coming back to again. Worked great (my son took 1st out of a group of ~25 cub scouts). Much easier to use than the melted metal or other options. Simply drill 3/8" holes in the back of the car and insert. Only thing I found difficult was cutting the segments apart. The weights were as expected, easy to handle and install. NO Problem. Proper weight and balance are two of the most important parts of fast cars. these drill in style weights we have found to our liking. simply determine the amount weight you need to add, cut off the appropriate amount if needed, drill your holes put the weights in, fill and sand. drill in weights allow for cleaner body styles, and more precise weight placement. Some folks prefer the tungsten style weights, but for the money the zinc weights offer a great value and in our opinion work just as well for less money. The other reviewers are right, you can just snap off segments to get the weight right, but a hacksaw makes quick work of it.There are enough segments to fairly finely tune them to the right weight. It worked well for us to add nearly an ounce and we have weights left over for next year. Arrived quickly, 2-3 days. Solves the purpose i.e. for adding the weights Could not break/cut them into smaller pieces, requires you to saw the segments. I was surprised to see that you need a hacksaw to break these apart. The product was easy to work with and easy to cut with a hack saw. I built three cars this year, but only used these weights in one car because I wanted a denser metal (lead) in the other cars. MY SON'S CAR TOOK a WHILE TO SAND DOWN, HOWEVER THAT'S WHAT ITS ALL ABOUT.... THE BOYS WORKING AND DETAILING ALL OF THEIR DERBY CARS!! PUTTING ALOT OF EFFORT, CONFIDENCE & FUN INTO THEIR PROJECT!! !--- I'M A PROUD CUB SCOUT MAMA!!! They are easy to use and install, but if you have a slim car design, you might run into trouble weighting your car close to the 5 oz. maximum. These weights worked as desired. Took my daughters car from last year that performed in the middle of the pack (was about 3.4 oz), and won 1st place this year. My son built a new car this year, and used these weights to bring it up to 4.9 oz, and that won 1st place for the cub scouts. We used these as tail lights in our Tiger Claw car. They worked very well for the money. 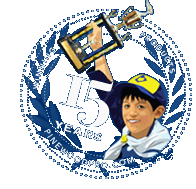 Have done business with Pinewood Pro for several years now. Everything is always perfect! Great weights. Drilled holes into back of car and plugged them in. What else can you say..... we took first place out of 33 cars. Not bad for our first car!! Easy to get the ideal weight, if they were tungsten they would be truly amazing. Over all the 3 oz rounds are right on the money wieght wise. I would do this process again next year. The weights are perfect. The description is off a tiny bit. The weights are perfect. The description is off a tiny bit. "...can be broken..." is just a tiny bit misleading, although they can be cut with some effort. Also, could have been made into a kit if it included a 3/8" drill bit and a 3/8" cork or something similar.